The Embrace Offset Quadrant with a single door is a fusion of elegant styling and practical functionality. 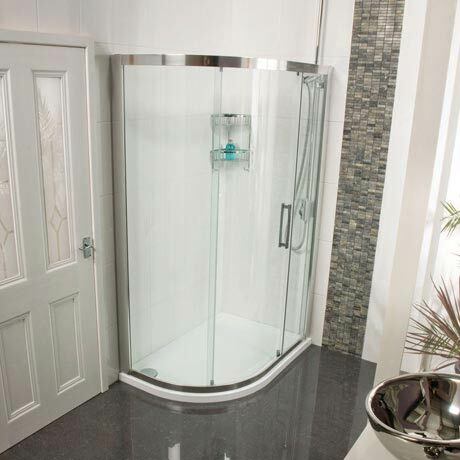 Quadrants are one of the most popular enclosure types as they fit discreetly into the corner of your bathroom and have unobtrusive sliding doors. The gently curving glass provides stunning visual appeal, whilst maximising the internal area for an indulgent showering area. The enclosure features bright silver framing with clear glass, making an eye-catching addition to your bathroom.